If you are looking for the best noise cancelling headphones in the market to make your air travel much more comfortable and relaxing look no further. We have spent numerous hours narrowing down from 10 different models in order to find the best for air travel. 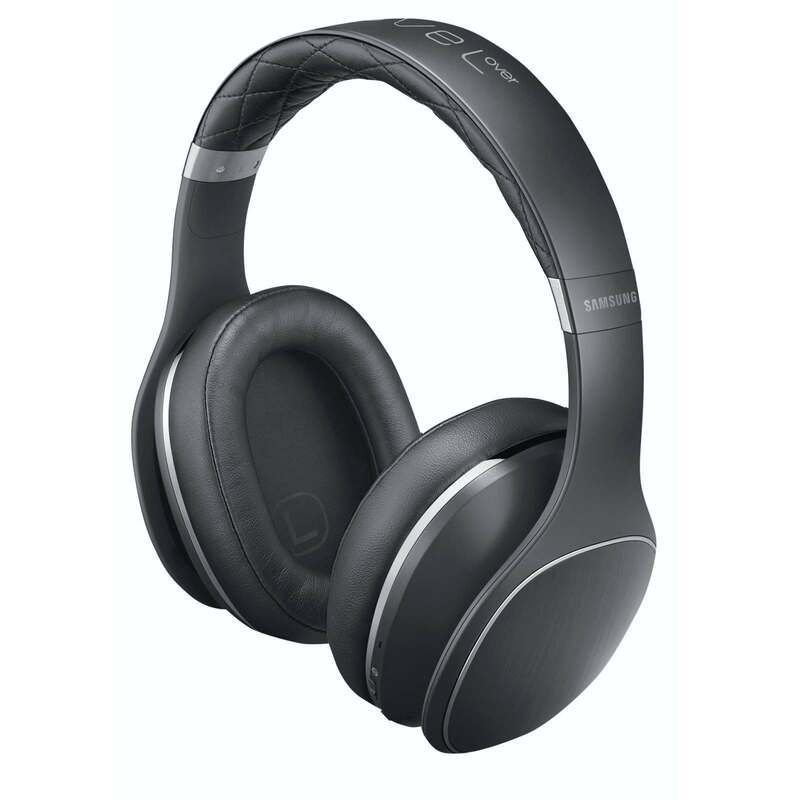 The top selling and top rated noise cancelling headphone Bose QuietComfort 15 has been discontinued and replaced with the Bose QuietComfort 25 . 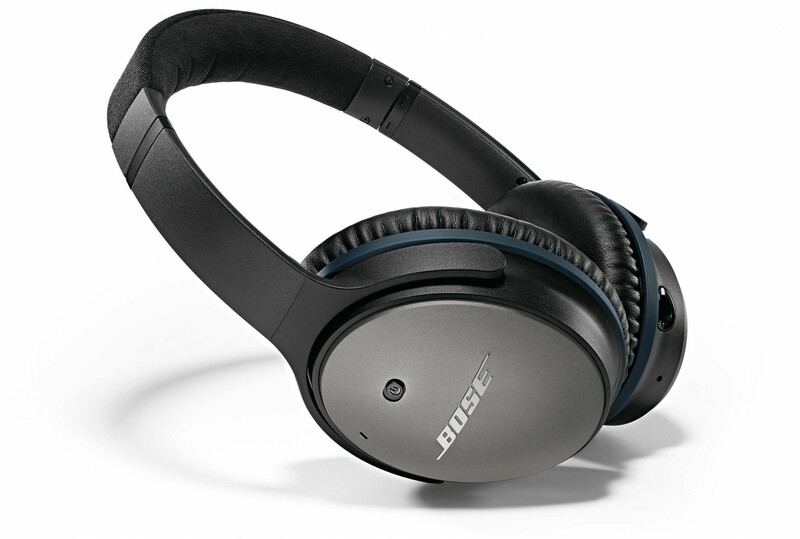 The new model of Bose QuietComfort 25 has the same amount of noise cancellation making it our favorite. The only difference between the discontinued QC15 and the new QC25 is the new sound improvement which offers a better bass and more upper-midrange sound. Another upgrade is the ability to use a noise cancelling headphone that plays music when the battery has died. If the QuietComfort 25 is out of your price range, there are a few manageable options. First up is the Audio-Technica ATH-ANC7B , these headphones do not offer the same noise canceling and sound of the Bose QuietComfort25, however at half the price these headphones offer a great listening experience. The Audio-Technica ATH-ANC7b is the runner up to the Bose QC25 as they offer a great mix of canceling performance and sound quality at a great price. 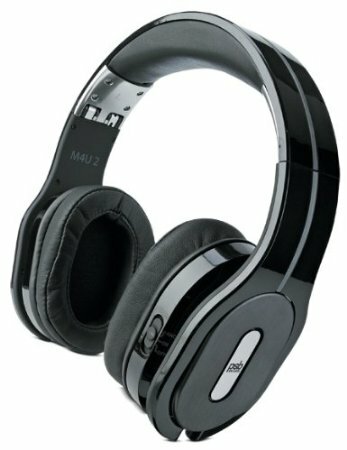 Next up is the PSB M4U 2 , these headphones are some of the best sounding headphones available. The PSB M4U 2 headphones offer noise canceling, however these were made for sound performance with the option to have noise canceling. One of the features to the PSB is the option to fold them up for easier travel. The PSB M4U 2 features the exclusive Room Feel Technology, which makes the listener feel they are listening to a set of high-end loudspeakers. These are an overall top pick for sound quality; however they do not match up to the Bose Quiet Comfort 25. Noise canceling with Bluetooth is next up; with Bluetooth you won’t need a cord between your device such as phone or tablet to the headphones. 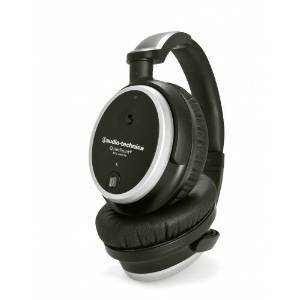 These are our top two choices for Bluetooth noise canceling headphones. The Samsung LEVEL have great reviews for noise cancelling. These headphones are a great option for someone who wants a better sound experience than the BOSE QC25 and a better noise cancelling than the PSBs. Many reviews on Amazon rave about the comfort and good fit over the ears. The sound quality also had good reviews, specifically with good bass sounds. Regarding noise cancelling the Samsung LEVEL offered a decent noise cancelling capability. The Samsung does not offer the same range for frequencies reduced by the Bose QuietComfort 15 or 25, but in certain frequencies it offers just as much. These are a great option, however the consumer must know these headphones don’t collapse down as small as the Bose. 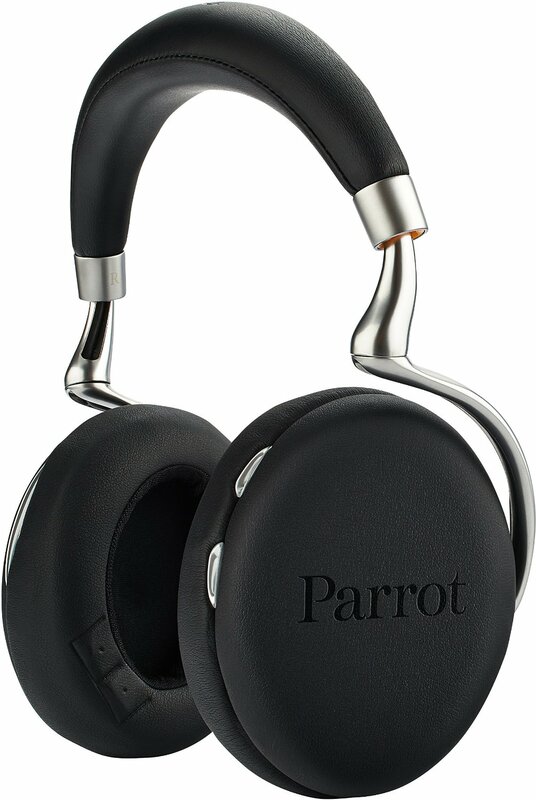 Another option for Bluetooth noise cancelling headphones is the Parrot Zik 2.0 . These headphones offer a better quality of noise cancelling than the Samsung LEVEL; however they are not as good as the Bose QuietComfort 25. We can’t recommend these headphones as they are quite difficult to use. First, in order to activate or deactivate the headphone’s noise cancelling feature one must use an app. To get the app, the user must register with Parrot, and then to be able to save any settings you have to create a user account. The necessity to use a basic function such as noise cancelling needing an app is annoying. 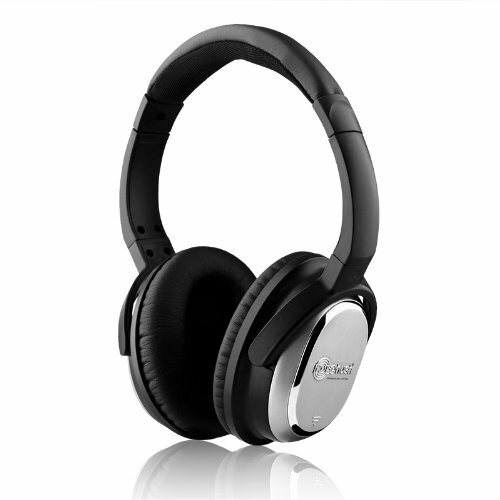 However, if you want the best noise cancelling with a headphone that is Bluetooth, and then the Ziks are it. The Bose QuietComfort 15/25 offer better noise cancelling but they are not Bluetooth; the Samsung LEVEL Overs do not offer the noise cancelling as good as the Bose or the Ziks. If you are not a frequent traveler or just want something to dull the noise of the occasional flight see the NoiseHush I7 which is offered at a very low price. The NoiseHush I7 does a decent job of cancelling noise and have a decent sound quality. The cash spent on the NoiseHush I7 is a steal compared to a lot of headphones that sell for a lot more. Reviews have found that the noise cancelling brings the levels down from -5 to -20 decibels between 80 and 800 hertz. These headphones of course do not offer the performance of the Bose QC15 or 25; however they do deliver a substantial reduction of airplane engine noise. The NoiseHush i.7 are the first noise cancelling headphones under 100 dollars that are worth buying. These headphones are a great option for the occasional traveler and better than you’d expect for this little money. The first and top choice is Bose, Bose is the leader in Noise Cancelling patents, they offer both in-ears and over-ear noise cancelling headphones which sell for the same price allowing consumers to pick their favorite. One of the main benefits to purchasing or in-ear headphones is size. However, the over-ear headphone does better with lower and higher frequencies. The in-ear headphone does great with mid-range frequencies such as whooshing air. One item to note is for users who wear glasses might benefit more of an in-ear headphone because the frame from the glasses will prevent a good seal on over the ear headphones. In regards to the best noise cancelling headphones, nothing has the reviews and features the Bose QuietComfort 25 . These headphones are extremely comfortable, and a great choice for any traveler, or a seeker of quiet comfort.